Telecel is now giving subscribers double the data they pay for when they buy data bundles worth $10 or more. It is also giving away 300 Mb of data and 30 text messages with its dongle, which now costs only $30. The new service is called Telecel Broadband Plus. To subscribe to Telecel Broadband Plus subscribers simply dial *144# and follow the instructions. If a bundle is renewed within 30 days the account will be credited with another 100 percent bonus. The new data service comes with four bundles that subscribers can choose from, namely Compact, Lite, Standard and Heavy. Compact is a 160Mb bundle costing $10. Lite is a 400Mb bundle that costs $20. The Standard bundle, which costs $45, has one gigabyte (Gb) of data, while the Heavy bundle is two 2Gb and costs $75. With each bundle there is bonus data of the same amount as the basic bundle. In other words for $10, one can access up to 320Mb of data, while for $20, one can access up to 800Mb and for $45, one can access up to 2Gb. With the $75 heavy user bundle, it is possible to access up to 2Gb of data. The higher the value of the package, the longer the validity period offered. However, bonus data, which is only used when the ordinary data has been used up, is only valid for 30 days. The higher the denomination of data purchased the cheaper the price per Mb. With a $10 bundle it is $0.063 per Mb, while with the $75 bundle it only $0.038 per Mb. If all the bonus data is used as well the cost is half of this. Telecel has introduced Telecel Broadband Plus and brought down the cost of its dongle to make it easy and affordable for its subscribers to access the internet wherever they may be. “In the past data was regarded as a luxury and seen as a privilege of the elite. That has changed. People from all walks of life are now using data for different reasons. Access to the internet has become universal and essential for all people,” said Telecel Zimbabwe’s Data Services & Terminals Supervisor, Ms Chenai Penduka. “More and more people are now using data than ever before, many of them accessing it on their mobile phone. They are not just accessing the internet for fun or leisure but for communication and research. “The worldwide web and the ease with which it can now be searched, using a laptop and dongle or mobile phone, has given us all access to a wealth of information. “This is why we launched Telecel Broadband Plus, which provides data bundles cheaply for everyone, whether they are light, moderate or heavy users. “It is part of our ongoing commitment to provide subscribers with best value for money,” she said. 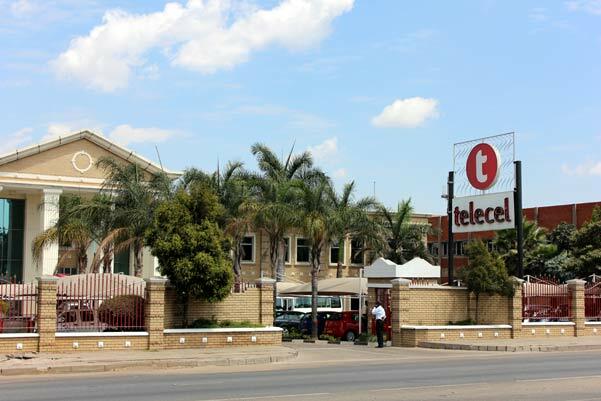 It is possible for Telecel subscribers to access data using a computer, tablet or cellphone. Oooooh niiiiice! Great stuff Telecel. this is why I try so hard to convert all my friends to this network! It’s a step in the right direction. Econet (maybe Netone) will be forced to follow. It’s healthy competition. Almost there! We look forward to that day too. But even if you check in more established markets, like USA, there are NO MNOs offering unlimited data (FUP applies) and nowhere close to $25. l know, since the introduction of 4G, no more unlimited data. Their reasoning is that you only need to browse on 4G when there is no wifi around, other providers are giving out free access to hotpot to all there customers on 4G to compensate for that. But bandwidth here is “paid for” and paid for at a higher price than it is in other markets. We being a land locked country adds to the cost of getting affordable internet here. So was the promo the beta of this service? I guess it proved to be quite popular. Pretty cool Telecel!! Keep it up. @87c2120c9d2b79e2b62fbdd2d258cbf5:disqus : Sorry, which promo do you refer to? Wonderful news! I love Telecel internet though I have to admit Econet seems slightly faster but is far less reliable especially during powercuts whereas I barely ever have any problems with Telecel except for an extended outage some 3-4 weeks ago. I do have a question, supposing I have 160mb bonus data and I top up with another $10 before the 30 day period expires, does this mean I’ll have another 30day window now with 320mb of bonus data? And on a side note, competition is heating up in the lucrative mobile internet sector and Im glad to see it finally trickle down to us the consumer. I can see this especially with Powertel which seems to have improved its service over the last couple of weeks though ofcourse it still does have those moments of utter frustration. Can’t wait for the next mobile operator that will offer us a tangible, useable unlimited package. But kudoos to telecel for making internet friendly internet avaible to a wider demographic of people. @c8d87ab19c411e1bd27d7679c2af0309:disqus : Thank you for choosing Telecel as your mobile network operator. $10 gives you 140MB (and NOT 160MB), but please note that your bonuses ARE CUMULATIVE. If you topup today, use all your 140Mb within 30 days, and on the 30th day you topup again, you will now have 140Mb and 280Mb bonus to be used after a 30 day period. Love, love Telecel. The only true telco in Zim. Good prices, better business vision. Could the authorities withdraw Econet’s license we have had enough being ripped off! I don’t think cancelling econet’s licence will do any one any good James M. Potraz needs to issue licences to more players so that there is more competition for Econet. Well done Telecel, am getting my line tomorrow!